Your first step when you find out that you have not been accepted into graduate school is to find out why. The letter you receive will likely just inform you that you were not accepted into the program so you will need to dig a little deeper. Try contacting the Admissions office to see if they can offer you additional detail regarding why your application was not accepted. You should also look at your application with a critical eye and consider some of the following potential reasons. ~ Is your undergraduate GPA or previous graduate GPA competitive for the schools where you applied? Some schools post the minimum or average GPA for entrance on their Admissions page of their website. If not, the Admissions team may be willing to share this information with you. ~ Are your GRE or GMAT scores competitive? ~ Was your Personal Statement well written and persuasive? ~ Did your recommendation letters make you stand out or did they paint you as a mediocre student? ~ Did you apply to a program where you would work with a specific advisor? If so, is that advisor accepting new graduate students right now? ~ Did you apply to a program where all accepted graduate students are funded by scholarships rather than by paying your own way? If so, does the school have funding available? If not, they might not be accepting graduate students at all until they have additional funding. Your next step is to figure out what you can do next for each of the potential reasons you identified. ~ If your GPA was not competitive find out if you can take a class or two in the program before being accepted into the program. 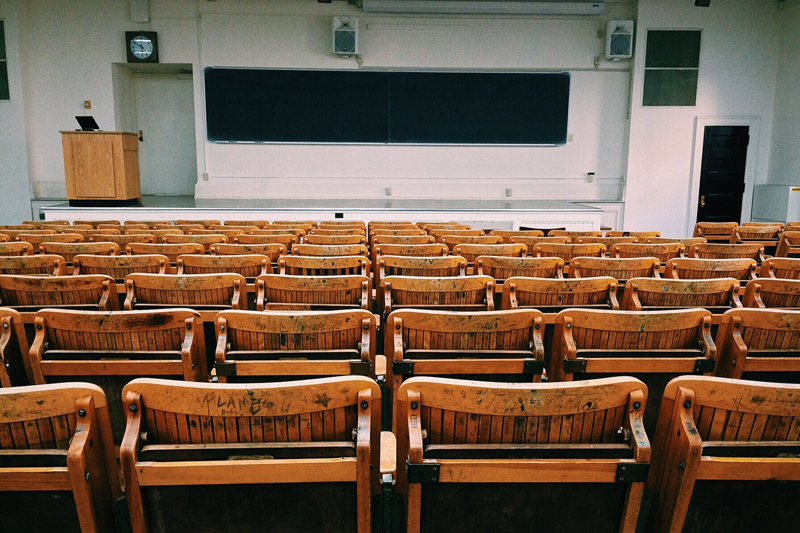 Some graduate school programs allow students to take one or two introductory courses first in order to decide if you think the program is right for you. Earning great grades in classes that count toward the program might help your chances at being accepted when you apply. Another option is to apply to more schools. Different schools will have different standards for GPA in their entrance requirements. ~ If your GRE or GMAT scores were not competitive, retake the exam. You might want to take a prep class or complete a self-study program to prepare before taking the exam again. ~ If your personal statement did not make you stand out, re-write it before re-applying to the same graduate school program or any other schools. Make sure that your personal statement reflects why you want to go to graduate school, what research you are interested in doing and how graduate school will contribute to you achieving your goals. ~ If your recommendation letters do not make you stand out as a candidate for graduate school, evaluate why. Do you need to ask for recommendations from different people? If the Admissions team tells you that your recommendations are too generic, you should figure out if you asked for recommendations from people who cannot truly speak to your abilities and potential. If you are able to take a class or two before applying to a program, you might be able to ask those professors for recommendations. ~ If the advisor you are looking to work with is not accepting new graduate students right now you will either need to stay in touch and wait until new graduate students are being accepted or if you do not want to wait, you could expand your list of schools and advisors you are considering. The same goes for if you applied to a program where graduate students are accepted based on funding. You could wait until funding allows for new graduate students to be accepted or you could cast a wider net for your search. Don’t give up on your dream of going to graduate school if you are not accepted into a program on your first attempt. Find out what is holding you back and make strides to close those gaps by setting clear objectives and staying committed to your goals. Be persistent and you’ll get there!